When you’re inside a historic home, it’s easy to overlook the details that lend authenticity to its origins. Here are some interesting details we found inside 22 Garden Street, a brownstone in Boston’s Beacon Hill built in 1827. 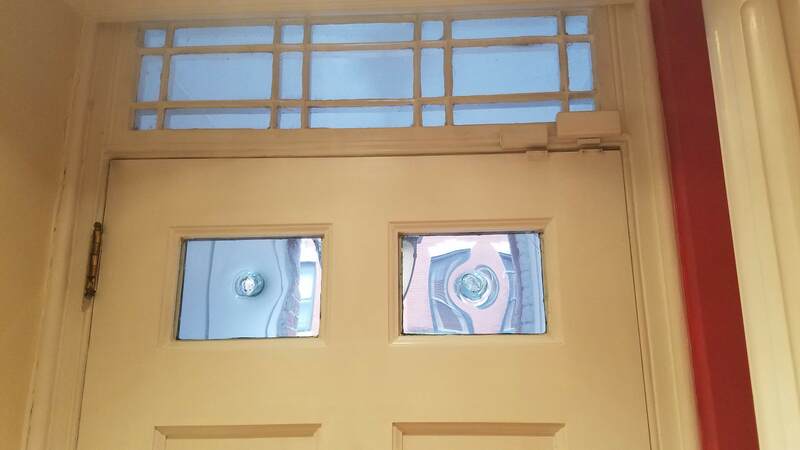 “Bullseye” glass window panes below the door transom window in the front door. This is hand-blown glass originating from the 19th century. Bullesye glass was created from discarded flat window panes. Once considered a remnant, now it’s prized as historic antique glass. 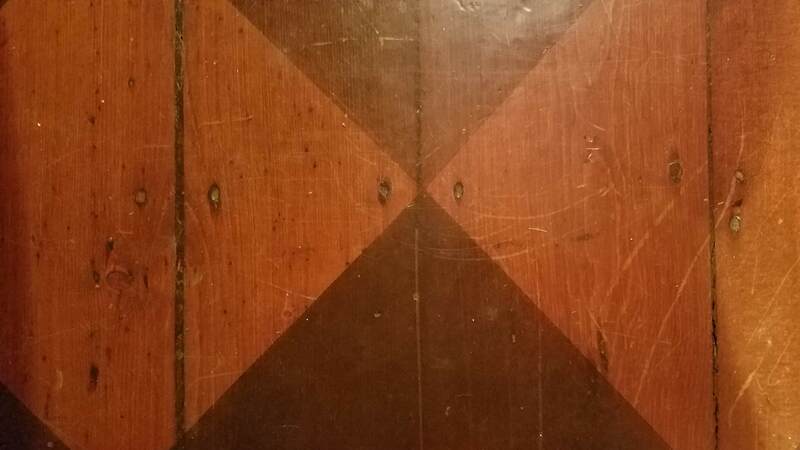 Decorative painting on wood floors, shown in the dining room in a checkerboard design, was a popular practice in the 19th century. Wood floors, typically side-by-side wood planks as shown here, weren’t polished or varnished at that time. 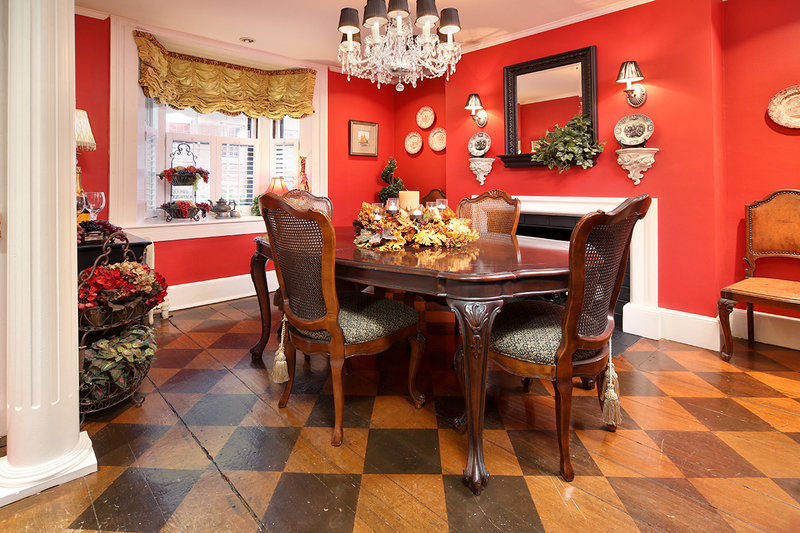 Generations of families have burnished these floors and given them a unique character. Also in the antique floors, you see hand-forged nails. The nail heads were hand-hammered into a T-shape, indicating their antiquity. 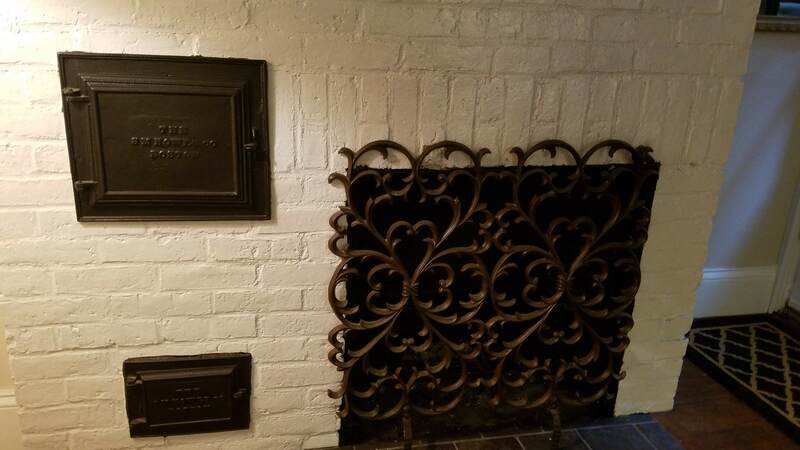 Among the six original fireplaces in the home, the one on the lower level has a cast iron oven. It was manufactured by The S.M. Howes Company in Boston, as shown on the oven door. It could have been used for baking or warming, dating originally from the mid to late 1800s. These kinds of historical details make one wonder … “if only these walls (and windows, floors and fireplaces) could talk”. For more information about 22 Garden Street, contact Amy L. Donovan, 617.765.4660.